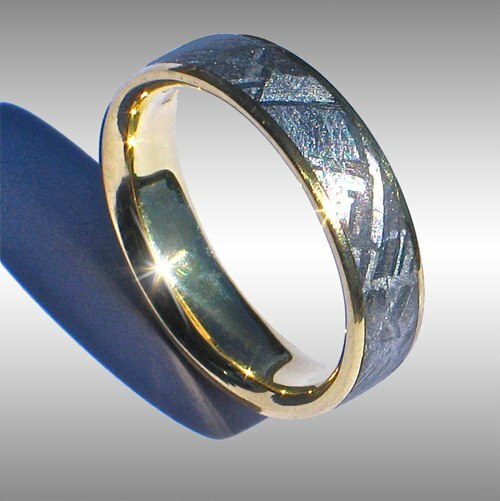 Style #025: Beautiful, flat-topped Gibeon Meteorite Ring with 18k yellow Gold Lining & Rails and Widmanstatten finish. This elegant ring is one of our most popular styles. Price: Please enquire! Also available in 18k white or rose gold!